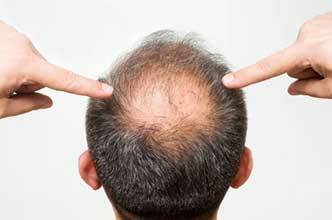 Millions of people worldwide are suffering from "thinning hair" or hair loss. In fact, this affects not only men. 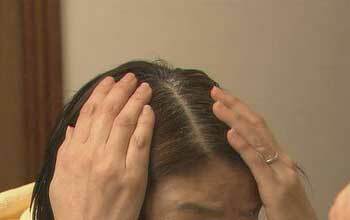 Concerns among women with thinning hair are increasing, too. About 1 out of 5 women and around 2 out of 3 men will experience some type of hair loss in some point of their lives. Hair loss in women, however, is not well understood as the factors that cause hair thinning in women are very different from men. Most men suffering from hair loss are actually experiencing "male pattern baldness" or androgenic alopecia. It is a genetic condition that can affect people as early as teenage years. It is characterized by a receding hairline along the lateral sides of the forehead and/or thinning or balding at the upper surface of the head. On the other hand, hair loss among women follows a similar pattern to men but for very different reasons. It can also be a genetic condition but it can be caused by many other factors including hormonal imbalance and side effects of medication. Normally, your hair follicles have a growth cycle of 3-5 years, after which they will stop growing and go into resting phases for a couple of months. At the end of the resting stage, the older hairs will fall out and newer hairs will grow again repeating the cycle. Approximately 85-90% of your hair is in the growing stage while 10-15% is in resting stage. These are randomly distributed around the scalp so no bald portions can be seen. However, when there are changes in your body like hormonal imbalance, the hair growth cycle will be affected. The result is that too much hair will go into resting stage at one time and not enough hair will grow, thereby causing thinning hair or hair loss. A thyroid deficiency can cause hormonal imbalances. 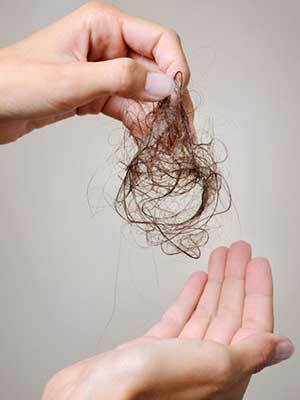 On average, a woman can lose 100-150 strands of hair every day, which is still considered normal. However, if one suffers from thyroid diseases, she can lose as much as 300-400 strands of hair per day resulting to thinning hair or hair loss. A common thyroid disorder than can result to hair loss in women is hypothyroidism (underactive thyroid gland). Swelling of the mouth and around the eyes. 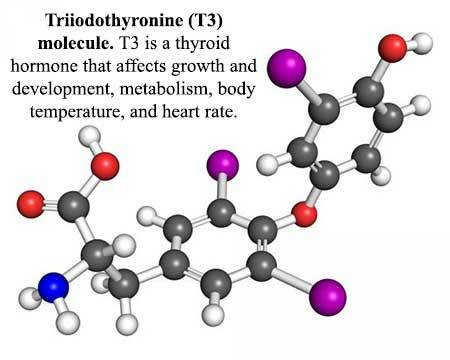 Hypothyroidism results to a decrease in thyroid hormones. Thyroid hormones are responsible for the proper growth and development of all cells in the human body including the hairs! These hormones are also essential for regulating and increasing the metabolism of the body. When one has low thyroid hormones, the cellular activity all over the body will weaken and can affect hair growth and thickness. Hair loss is a common side effect of hypothyroidism. Why thyroid hormones decrease is not understood clearly although some say that it is due to the aging process. Taking thyroid hormone medicine to treat hypothyroidism can help prevent thinning hair. If you are suffering from excessive hair loss or thinning hair, we advise that you consult your doctor to thoroughly examine if you have hypothyroidism. The causes of thyroid problems are largely unknown and in many cases the PYRO-ENERGEN can eradicate these problems including the autoimmune disorder Hashimoto's disease (Hashimoto's thyroiditis). We believe that it can also help patients with hypothyroidism, unless the primary cause is determined to be from radiation exposure, or surgery. Also read article: "Thyroid Gland and the Thyroid Hormones"
Massaging your scalp can help stimulate hair growth. It will help increase and accelerate the blood circulation around the scalp resulting to the stimulation of hair follicle receptors. The follicles are just below the scalp and between the skull (outer) bones so you can easily apply force straight to the blood vessels and help increase nitric oxide levels. NITRIC OXIDE (NO): Nitric oxide is naturally produced by our body and plays a critical role in increasing blood circulation and oxygen delivery. It is believed that nitric oxide helps dilate blood vessels and easily carry nutrition to the hair roots. Regular exercise can also increase and retain nitric oxide levels. Fruits containing high levels of citric acid and fiber like watermelons and oranges also increase nitric oxide levels in the body. 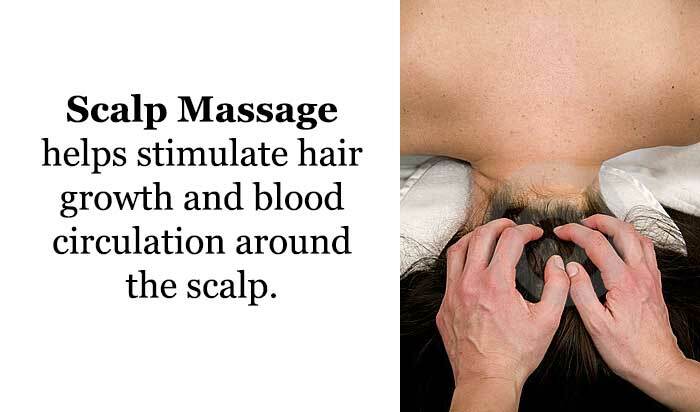 Massage your scalp and not your hair. The proper way to do this is to position your fingertips around the scalp and press the area repeatedly. Don't use circular motions to avoid entangling your hair strands. In one experiment, data shows that hair density increased by 6% after six months of doing massage. Just remember to avoid using your fingernails while massaging so you do not end up scratching your scalp. 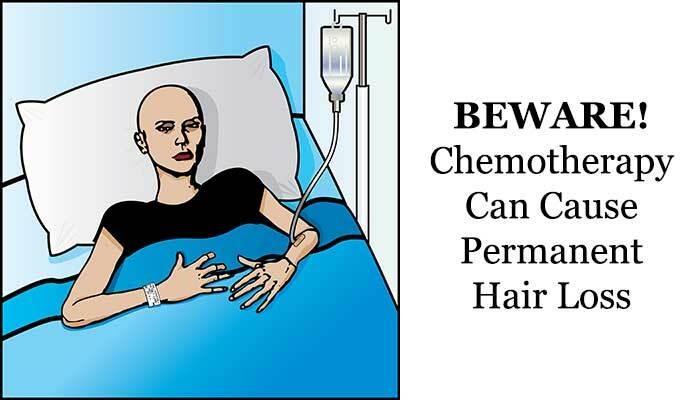 One of the most damaging side effects of chemotherapy is hair loss. Permanent hair loss following chemotherapy can happen, too. That is because chemotherapy drugs are made to destroy rapidly growing cells and since hair follicle cells also grow quickly, they can get affected. If you are suffering from cancer, we highly advise that you stay away from chemotherapy and use the PYRO-ENERGEN machine instead. The PYRO-ENERGEN electrostatic therapy machine is 100,000 times more potent than chemotherapy and hundreds of times cheaper and WITHOUT harmful side effects! Also visit the page "How PYRO-ENERGEN Works". Please feel free to share any thoughts you have about hair loss or thinning hair. Post your feedback in our comments section at the bottom of this page.